Remarks Initially released through the Prisoner Appreciation Society, Six of One. 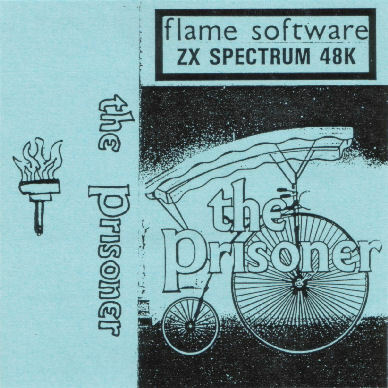 "Having watched the Prisoner repeats on the new Channel 4 in 1984, I became inspired to write a game based on the series. 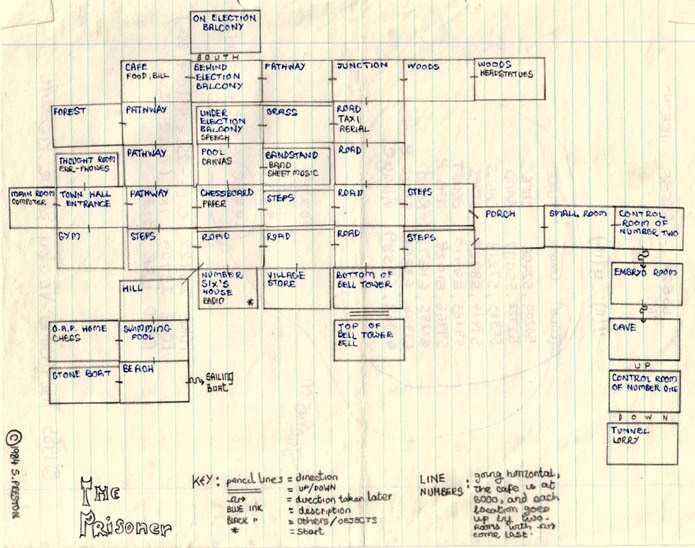 The format suited the adventure game very well - an enclosed island from which you must escape. What was different about this game from other adventures though was it had rather a lot of complex discussion about freedom and individuality mixed into the "take plank, use plank on hole" type cliches. Unsurprisingly, the concept and solution to the game was actually written by my dad, upon which I coded it into the final product. As such it is a rather peculiar game with many odd moments that baffle and then surprise, however the solution is best kept close at hand as the game is incredibly difficult to solve, therefore I should pay a visit to my attic to get the solution for you guys if you ever fancy meeting "Number One"! If the solution is listed, you'll know I've done it!" v1 came with Death Mission on the B-side, v2 came with Wally's Walkabout on the B-side.